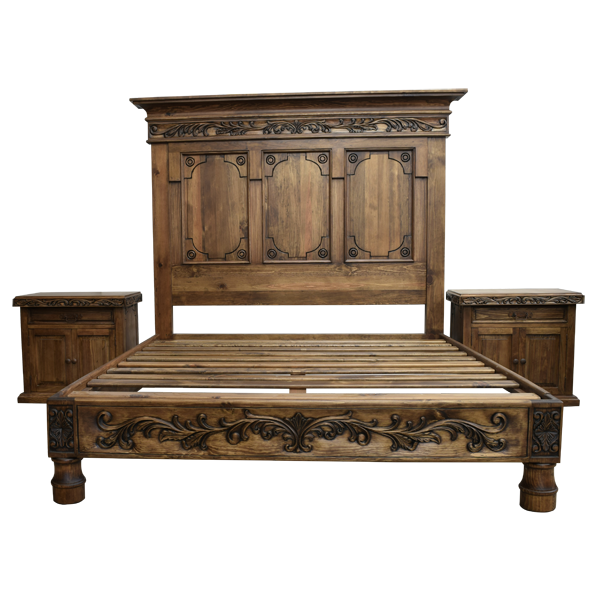 Adorn the décor of your bedroom with the fabulous, antique finish and the exquisite, hand carved designs of this marvelous, handcrafted, Western style bed. The front of the rectangular headboard is embellished with three, geometric cut panels with arched details, and each panel is accented with a hand carved, circular design in each corner. 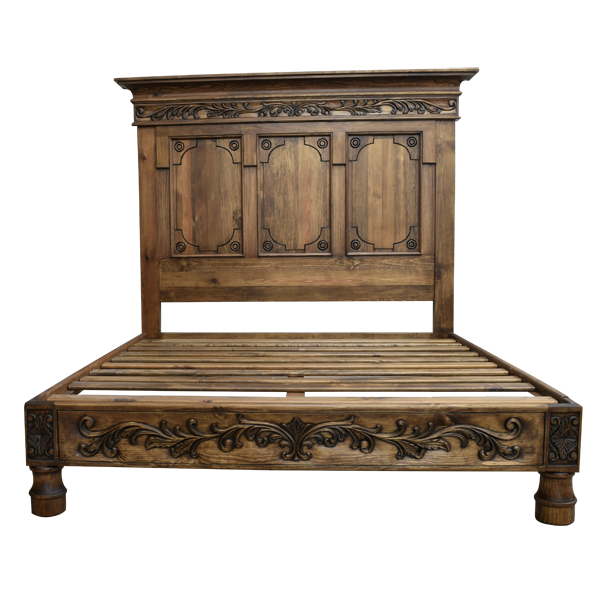 The top of the headboard has a classic, crown molding, and below the molding are elegant, hand carved, floral and scroll designs. 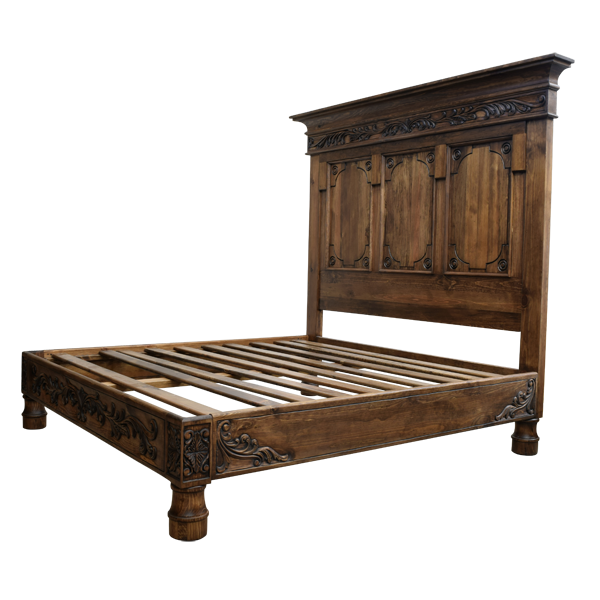 The bed has a solid wood, structural base, and the front of the base is enriched with ornate, hand carved, floral and scroll designs. The sides of the frame are also accented with graceful, hand carved, floral designs. 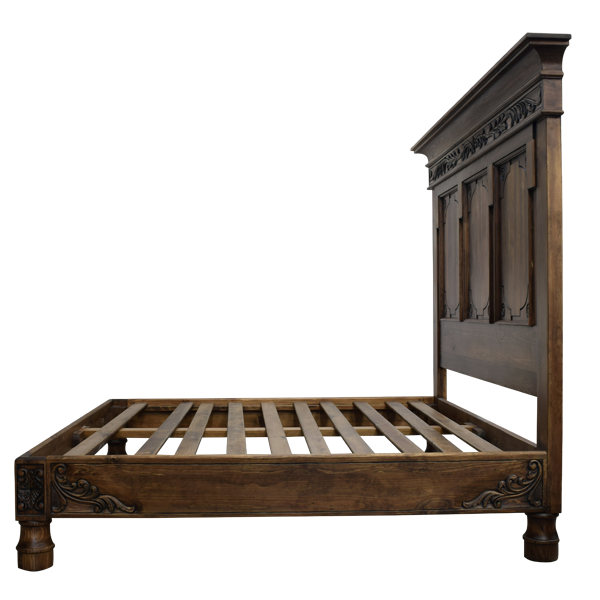 The bed rest on elegant, hand turned legs, and it has an antique finish. It is made with the best, sustainable, solid wood available, and it is 100% customizable.